101st Airborne 401st GIR, WI. Eco. 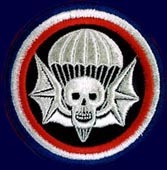 506th PIR, East Coast. Eco. 506th PIR, 3rd Platoon, West Coast. �2007 Copyright. All Rights Reserved.